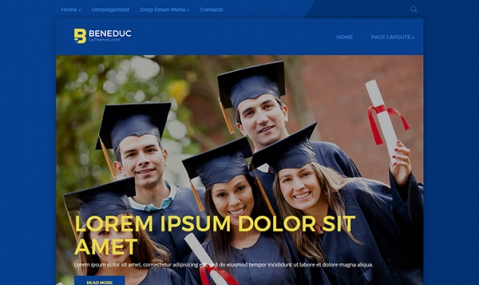 BenEduc is a clean and genuine WordPress theme that is professionally designed in minimalistic style. It’s commonly used when website content is somehow related to education, development or skills upgrading courses. Monochromatic grey and blue background of the theme gives people the opportunity to focus on the core ramifications without diversion. Flexibility, basical versatility and venturous materialism of BenEduc design convinced visitors in its impeccability. Downloading a lite version of the theme, you’ll like it at the moment you start!